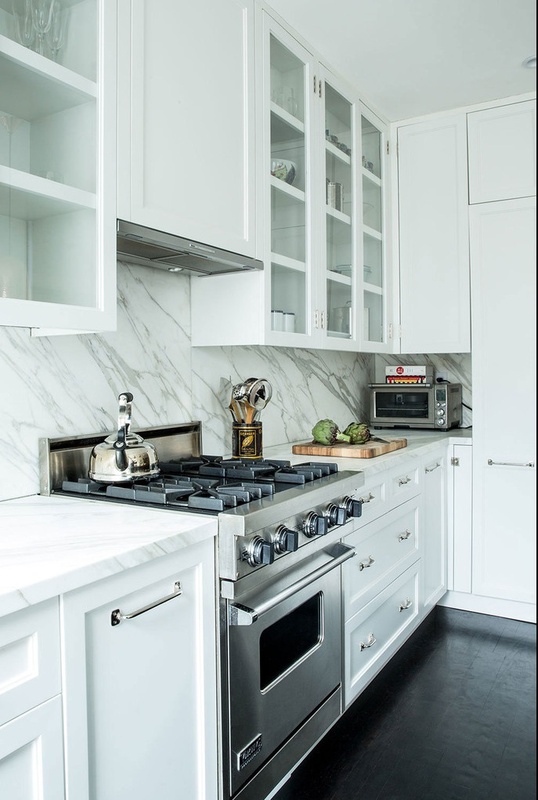 This month Lonny Magazine features this gorgeous brownstone completely renovated by designer Katie Martinez. Very chic yet comfortable for a family this home strikes the right balance with a touch of modern and vintage. Loving the lamps in the kitchen with the dark island and white cabinetry....and of course the gorgeous backsplash and counter...one of my personal favourites. There are many more pictures on the Lonny website so pop over to take a look.